Ho Chi Minh City – A group of New Zealand entrepreneurs has uncovered massive opportunities for Kiwi tech companies in Vietnam. 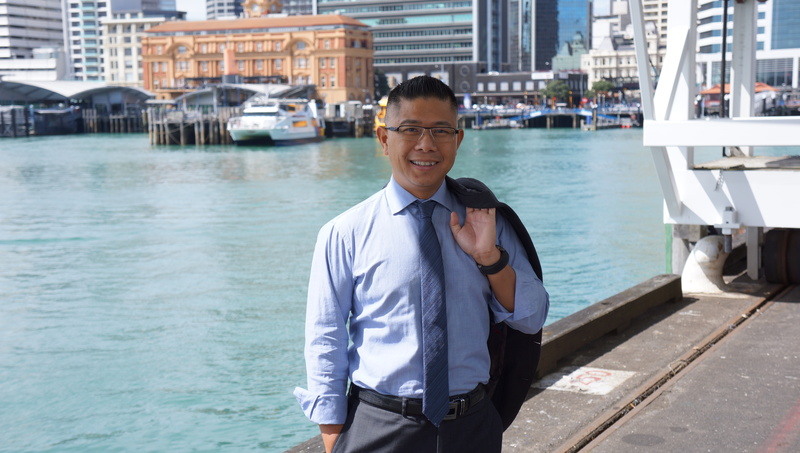 Mitchell Pham, Augen Software Group director and NZTech chair, has just returned to New Zealand after a landmark visit to Hanoi and Ho Chi Minh City with several Kiwi tech entrepreneurs. The Vietnam tech sector is moving extremely fast and Pham says the Asian country may well leave New Zealand behind if Kiwi companies don’t start engaging soon. “We’ve spent the last week getting right into the Vietnamese market, connecting with local businesses. This is a country rapidly getting close to 100 million people, and most of whom are young and very tech savvy. They could catch up and surpass our innovation very easily. They have plenty of access to capital and are much closer to other Asian markets including China, India and Thailand. They have a very strong skill set in tech. It’s staggering. We need to get into Vietnam and engage with these people very soon. “The top among many areas for tech business growth in Vietnam include financial services, agriculture, healthcare, transport, food and beverages and education. Vietnam is closely linked with Silicon Valley and they have access to entrepreneurial thinking, business experience, commercialisation expertise, and investment capital. Their country also has links to many international markets and they are very open to collaboration with outsiders, such as New Zealand. “Innovation and commercialisation happen much faster there than in New Zealand. My clear message is New Zealand tech businesses should be there or they will miss out on the growth of tech in South East Asia. “Our Kiwi group met with movers and shakers in the tech space. We learned about the tech ecosystem and consumer behaviour in Vietnam. We are already making plans to return and engage in further activities. “I met the mayor of Ho Chi Minh City and he told me it was the perfect time to begin working with the tech sector there. That city of more than 12 million people has a strategy to develop and become the Silicon Valley of Vietnam and South East Asia. They have aggressive growth plans. We have lots of tech companies in New Zealand and I would love to see many of them jumping on board. Other companies represented on the trip included agritech start-up Hectre, a software tool for apple growers, STQRY, a mobile platform that helps arts and culture organisations tell their stories to audiences, Wipster, a web-based platform that enables review and approval of creative assets such as video, Rabid Technologies, a software development business, and Vizbot, a cloud-based web application company focusing on innovative solutions for government. The group visited Kiwi Connection tech hub in Ho Chi Minh City, the brainchild of leading Kiwi entrepreneur Mitchell Pham, who is also a New Zealand Trade and Enterprise Beachheads advisor for Southeast East Asia. Funded and operated by Augen Software Group, Kiwi Connection is based in Vietnam’s largest software park, Quang Trung Software City with over 130 companies and more than 17,000 workers, and helps New Zealand tech businesses accelerate presence and engagement in Vietnam and the ASEAN region. The trip, a Young Business Leaders Initiative, was part of a business programme funded by the Ministry of Foreign Affairs and Trade and managed by the Asia New Zealand Foundation. For further information contact Augen director and NZTech chair Mitchell Pham on 021 623334 or Make Lemonade editor-in-chief Kip Brook on 0275 030188.